Last week's Conservative Political Action Conference (CPAC), like those in the prior two years, had little to offer people in favor of immigration enforcement and reduced immigration. So it shouldn't be surprising that the beginning of this posting is almost the same as the posting on immigration at CPAC 2016, where the key immigration event focused on how to talk to minorities; Mike Madrid claimed the GOP risked becoming "irrelevant" if the party didn't embrace amnesty and high immigration levels. His advice was ignored by candidate Trump. This year the four-day conference, addressed by President Trump, once again made no attempt to have a meaningful immigration conversation. 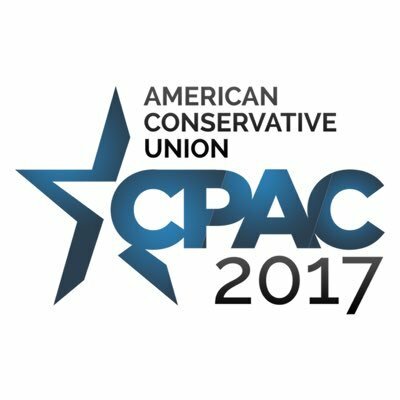 CPAC's website states the conference "combines ideas with action to leverage the strength of thousands of grass-root activists to break through the resistance of Washington's powerful elite." Yet, the event provided neither a forum for true discussion and debate of immigration policies, nor a detailed review and explanation of Trump's immigration actions thus far. Activists left with little additional knowledge of the problems or viable solutions with which to go to town halls and defend what many of them voted for – decreased legal immigration, border security, and interior enforcement. The only panel on the main issue which put Trump into office was entitled "If Heaven has a Gate, a Wall, and Extreme Vetting, Why Can't America?" It featured Representatives Andy Biggs (R-Ariz.) and Ken Buck (R-Colo.), both members of the House Judiciary subcommittee on Immigration and Border Security; Mike Gonzales of the Heritage Foundation; and Helen Krieble of the Vernon K. Krieble Foundation. Instead of two non-profit participants focused on specific areas (Gonzales discussed assimilation and Krieble made her perennial pitch for a hugely expanded guest worker program), attendees would have benefitted from hearing an expert like Professor George Borjas speaking to the labor impact of immigration. Borjas could have addressed how, as he wrote in the New York Times recently, "immigration does not improve everyone's well-being. There are winners and losers, and we will need to choose among difficult options. The improved lives of the immigrants come at a price. How much of a price are the American people willing to pay, and exactly who will pay it?" A meaningful debate would have included a discussion on the solution to the job magnet and an appeal to participants to push their legislators to pass an E-Verify bill. Perhaps with so many students in attendance, this would have been a great forum to discuss the number of foreign students we bring in every year and their impact on education and the job market. Another idea: an expert like John Miano could have focused on how employers game the H-1B program for cheap foreign labor and some things Trump can do to fix it. If CPAC were serious about the immigration issue and sending participants back out into the fray to push for Trump's immigration agenda, they might have had a panel discussing serious legislation being moved forward on these pressing issues. But these topics were either not discussed or were given a mere casual mention. As relates to immigration, few ideas were provided last week and participants were sent home with no direction on any action to take to support Trump's agenda. Maybe organizers weren't serious about leveraging "the strength of thousands of grass-root activists to break through the resistance of Washington's powerful elite" on the immigration issue.